Here at Beatlesblogger we have a few items that we are always on the lookout for. When we first heard about the impending box set reissue of eight John Lennon LPs on 180 gram vinyl – we knew we’d have to eventually get a copy…. 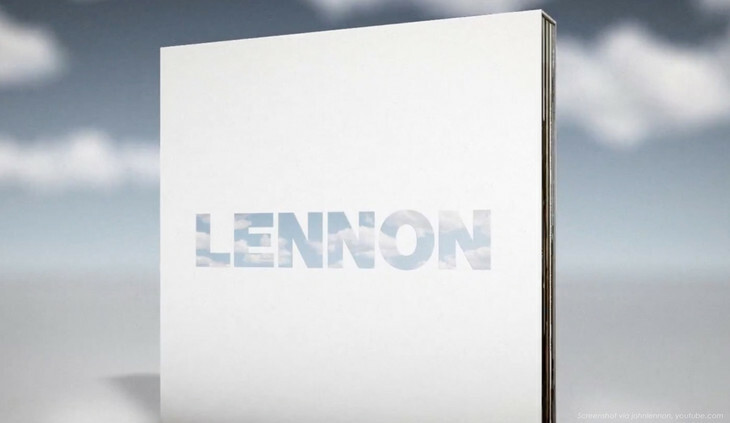 This is a deluxe box set of Lennon’s solo albums released between 1970 and 1984. The studio albums are remastered from their original analogue masters and have been newly cut to vinyl from 96k digital files with faithfully replicated original album art. The albums featured in the box are John Lennon/Plastic Ono Band (1970); Imagine (1971); Some Time In New York City – a double album (1972); Mind Games (1973); Walls And Bridges (1974); Rock’n’Roll (1975); Double Fantasy (1980); and Milk And Honey (1984). The albums, which feature the 2010 remasters, will be available separately on August 21st. As you can see, in keeping with the authentic UK album artwork for each LP: Imagine contains reproductions of its two postcards, poster and inner sleeve; Some Time In New York City includes reproductions of its original postcard and inner sleeves; Walls And Bridges includes its sleeve with two fold-over flaps, the original eight-page booklet and inner sleeve; Mind Games, Double Fantasy, and Milk And Honey also include faithful reproductions of their original inner sleeves. Nice. However, the thing that has become really collectable about this box set is that it’s been temporarily withdrawn from sale while Universal Music sort out a BIG mistake with one of the albums in the set. In first pressings Lennon’s Rock’n’Roll LP has a production error. The song “Sweet Little Sixteen” appears twice, and “You Can’t Catch Me” is missing altogether….making it something of an instant collector’s item. This entry was posted in Apple Records, Beatles, Beatles Music, John Lennon and tagged Apple Records, Apple Reissues, Beatles, Beatles Collecting, box set, John Lennon, Music, Rock'n'Roll by beatlesblogger. Bookmark the permalink.